Mr. K is widely associated with the Datsun 240Z, introduced in 1970. 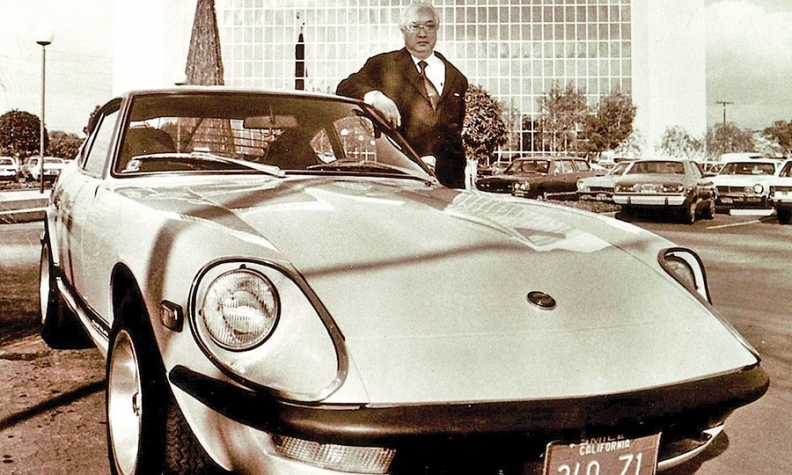 Yutaka Katayama, Nissan's first U.S. president, who grabbed American consumer awareness by introducing the affordable Datsun Z sports car in the early 1970s, died last month at 105. Known publicly as Mr. K, Katayama left his U.S. post 40 years ago and retired from Nissan altogether in 1977. But his lingering presence as an elderly, spry and sometimes critical voice from the past has continued to sustain U.S. brand interest in both Nissan's Z cars and Nissan itself. Katayama died of heart failure Feb. 19 in a Tokyo hospital. Katayama is widely associated with the original Datsun 240Z, introduced in 1970 in the wake of the Ford Mustang and Chevrolet Camaro's popularity. He remained active until recently as a visiting celebrity at Z fan clubs and Datsun and Nissan heritage events. It was under Katayama's pioneering years that Nissan's fledgling U.S. retail network rolled out the iconic Datsun 510, a small but racy Japanese sedan that Katayama hoped would steal some shoppers from Germany's BMW. In 1960, Katayama was dispatched against his wishes to the U.S. for early market research. He considered the posting "exile" for speaking out against Nissan's Japanese unions. Once in place in Southern California, he earned a name for himself as a Japanese executive with little patience for the cautious and conservative outlook of his decision-makers back in Japan. His career serves as a vivid snapshot of what Japan's auto industry went through to establish itself in America. In the late 1950s, Japan's automakers widely believed that venturing into the United States was foolhardy. Conservative managers at Nissan and other Japanese auto companies were reluctant to offer their small, typically underpowered products for America's high-speed highway driving. In the late 1960s, Katayama balked at the plan to market the new Z sports car in the U.S. under its Japanese name: Fairlady. Nissan's 1970s management, in turn, refused to plan for the production volumes that Katayama insisted his U.S. organization could sell. It also fell to Katayama to sew together a hodgepodge of Datsun dealer arrangements in America. As was true for other Japanese companies that dared enter the U.S. in the 1960s and 1970s, Nissan's Datsun distribution plan was a loose mixture of independent dealers and distribution regions that did not quite add up to a 50-state retail network -- nor attempt to cooperate. Los Angeles dealer Morrie Sage, who died in 2011, once reminisced with Automotive News that Katayama had inspired him to leave his job as manager of a local Ford dealership to become a Datsun dealer. Sage recalled that in 1969, Katayama told a room full of potential Datsun dealers that "everyone in this room will become a millionaire one day." Nissan Division now has approximately 1,100 U.S dealerships, which last year sold 1,269,565 cars and light trucks. 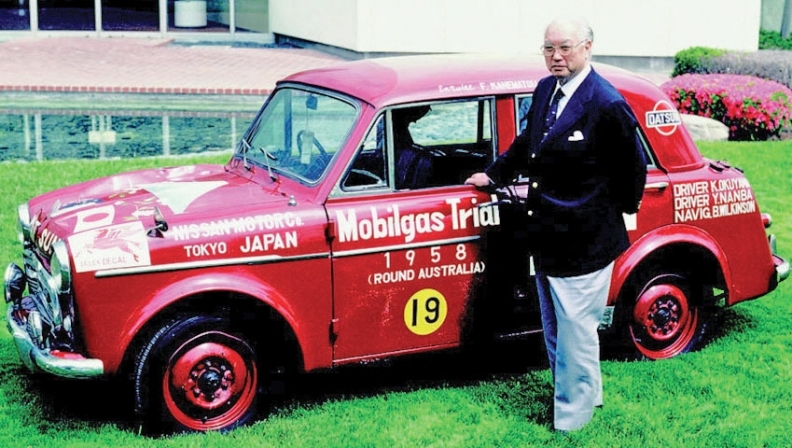 In 1958, Katayama's team won a race in Australia, a success that propelled him to America. Katayama continued speaking his mind beyond age 100. After Nissan CEO Carlos Ghosn resuscitated the Z in the 2000s with the 350Z and the 370Z to global acclaim, Katayama dismissed the 370Z as a "so-so" car. Katayama also made no secret of his disapproval of Nissan's move in the early 1980s to do away with the Datsun name in favor of "Nissan" as a brand name.